Dr. Deen is an assistant professor of pediatrics and an adjunct assistant professor of medicine. In addition to being a general pediatric cardiologist, he is a specialist in the care of adults with congenital heart disease. Dr. Deen's research encompasses preventive cardiology and atherosclerotic risk stratification in children and adolescents. His work examines cardiovascular health disparities among minority populations. Dr. Deen earned his M.D. from the University of Minnesota Medical School before completing a combined internal medicine and pediatrics internship at Georgetown University Medical Center and a combined internal medicine and pediatrics residency at the University of Minnesota Medical Center. He then completed a general pediatric cardiology fellowship at Seattle Children's Hospital and an advanced fellowship in adult congenital heart disease at the University of Washington Medical Center. He is board certified in internal medicine, pediatrics and pediatric cardiology. 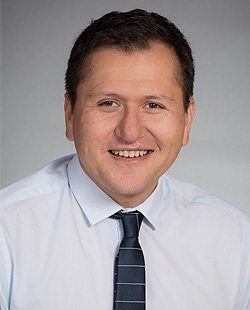 Dr. Cabrera is a Clinical Assistant Professor and a hospitalist at Harborview Medical Center in the UW Department of General Internal Medicine. His practice involves the inpatient medical care of adults as well as serving as a medical consultant for surgical patients. His current interests include medical education, high value care and pharmaceutical safety, health disparities, and health equity. 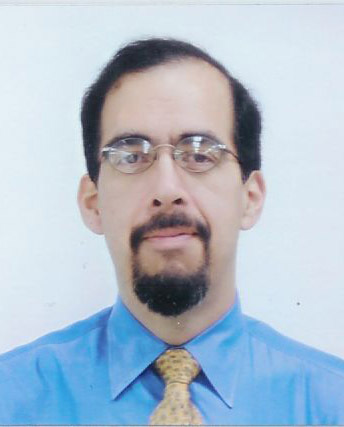 Dr. Cabrera earned his bachelor's degree from the Massachusetts Institute of Technology and his M.D. from the University of Wisconsin’s School of Medicine and Public Health. He remained at the UWSMPH to complete public health training as well as a residency in internal medicine. After working as a hospitalist at the University of Wisconsin Hospital he moved to the UW in 2012 to continue work as a hospitalist at Harborview Medical Center. Dr. Cabrera is a member of the Society of Hospital Medicine, as well as, the American College of Physicians. Bobbi Dalley, M.D. is the CONJ 570 course director and is an Associate Professor of Radiology at the University of Washington. She is a Neuroradiologist by profession and is an expert in Head & Neck Radiology. She successfully transitioned on the job at UW in 2011, delighted by the support and respect she received from the UW medical community. 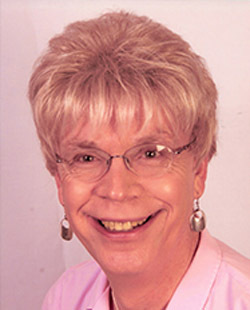 It was in late 2011 that she joined GLMA and WPATH, when her trans* healthcare activism began in ernest. Bobbi is now both the treasurer and a member of the board of GLMA: Health Professionals Advancing LGBT Equality, the only LGBT medical organization in the AMA House of Delegates. She is on the board of the Transgender Law Center. She serves on the LGBT Clinical Care Advisory Committee for UW Medicine. Locally, she participates as a member of the Gender Justice League, as an educator. 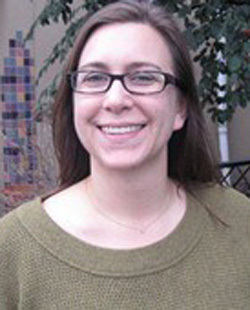 Trained as a social worker, community psychologist and gerontologist, Associate Professor Jordan Lewis focuses on research related to cross-cultural community psychology and gerontology, with an emphasis on Alaska Native cultures. 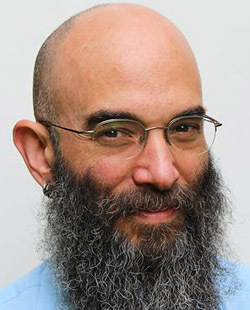 In addition to a doctorate in community psychology, he also holds a bachelor’s degree in social work from University of Alaska Fairbanks and a Master of Social Work from Washington University, St. Louis. 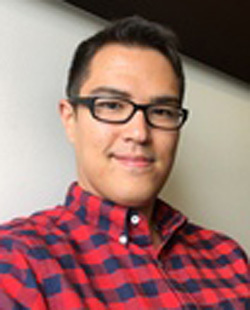 One of his research interests is exploring the role that “generativity” plays in the mental and physical health of Alaska Native elders. This term, first used in the work of Erik Erikson, refers to one generation passing on its knowledge and experience to guide the development of the next. Through his studies of Alaska Native elders, Dr. Lewis found that healthy aging in Alaska Native communities not only promoted overall individual and community well-being but also preserved traditional cultures (cultural generativity). His research identifies characteristics that enable Alaska Native elders to age well, overcome addiction issues, and become role models for their families and communities. Using the lessons and experiences of elders in long-term recovery, he is developing culturally tailored approaches for alcohol and drug abuse disorders. Dr. Lewis was a contributor to Older Native Americans: The Handbook of Social Work in Health and Aging, published by Oxford University Press in 2013. He has presented papers at many national and international conferences, including meetings in Iceland, Norway and Sweden. In 2009, Dr. Lewis received the National Rural Aging and Public Health Research Award from the American Public Health Association and the following year, he won the Dennis Demmert Appreciation and Recognition Award from the University of Alaska Fairbanks. Dr. Hilda Mena is a Family Medicine physician who graduated from the UW School of Medicine in 2001. Dr. Mena completed her residency at Providence Family Medicine. She has been teaching FAMED 556 Spanish for the Health Professional for several years to medical students as well as other health professional students. 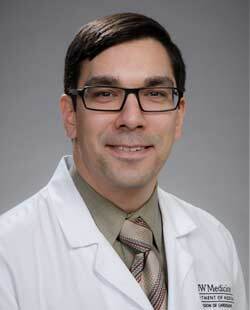 Dr. Rodriguez is Director of Hospital and Specialty Medicine at the VA Puget Sound Medical Center and Professor of Medicine and Vice Chair of the Department of Medicine at the University of Washington. 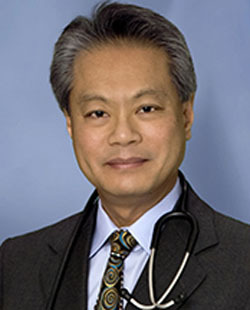 He completed a Nephrology Fellowship at the University of California San Francisco in 1994 and completed his medical residency at the California Pacific Medical Center in San Francisco. He graduated from the Charles R Drew University of Medicine/UCLA in 1989. His research interests include the association of viral infections and kidney diseases and the interplay of geography, race, poverty, and kidney diseases. His clinical interests include Dialysis and clinical nephrology. 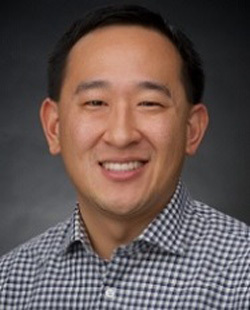 Dr. Wang is one of the faculty at the Swedish Family Medicine - First Hill residency program where he is the faculty chair responsible for incorporating LGBTQ training into their curriculum. He is also responsible for the GYN training at the program which includes family planning and abortion training that is so important in Women's Health. He completed his residency training in Michigan at the Oakwood Annapolis Family Medicine Residency Program and is a graduate of the Swedish Family Medicine - First Hill OB Fellowship which allows him to perform c-sections at Swedish First Hill Medical Center. Paulette de Coriolis, MA, LMHCA is a mental health counselor specializing in serving transgender people. After a 30+ year career as an electrical engineer, most of it in R&D of the implantable defibrillator, she retired in 2009 and promptly completed her gender transition. She has been a volunteer facilitator of the Ingersoll Gender Center’s drop-in support group since 2006 and a volunteer phone worker at the Crisis Clinic since 2011. 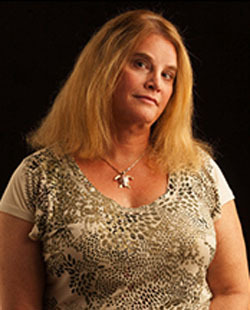 She has been active in the trans* community since 2004 and has served on numerous LGBT panels. She completed a Masters of Arts degree in Clinical Mental Health Counseling from Antioch University Seattle in 2015 and is in the process of setting up a practice in Redmond as of early 2016. Jessica Rongitsch is an internist practicing at Seattle's Capitol Hill Medical clinic. She is a primary care doctor for LGBTQ patients and prescribes gender-affirming hormones based on informed-consent model. Twelve years ago she saw her first transgender patient while working at Pike Market Medical Clinic. Having had no education on trans* care, she took her more experienced colleague out for coffee to learn everything she knew about hormone management. Thanks to this mentor, Vancouver Coastal Health online resources, and a very patient patient, she was able to help this patient manage her hormones. She has been taking care of trans* patients ever since, and continues to learn from her patients every day. Dr. Mangubat a native of Seattle, is a graduate of the University of Washington Medical School, studied surgery at the University of Kentucky and trained in cosmetic surgery with Dr. Richard C. Webster, a legend in the field of cosmetic surgery. He performs a full spectrum of cosmetic procedures including many trans-procedures and is dedicated to serving the needs of the trans-community. He lectures worldwide on body sculpting procedures and is a leader and teacher amongst his peers. Dr. Mangubat is a former Trustee of the AACS, chairman of the AACS Education Committee and current Chairman of the American Board of Cosmetic Surgery Review Course. His full resume can be found at LaBelleVieCosmetic.com. 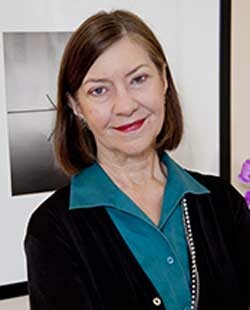 Linda Gromko, M.D. began her career in nursing. She earned a master’s degree in nursing from the University of Washington’s Family Nurse Practitioner Program. When her son was only four years old, Dr. Gromko entered the University of Washington School of Medicine. Completing medical school and a residency in Family Medicine at the University of Washington, she worked in a busy emergency room and a variety of women’s clinics before establishing her own private family practice. This year, Queen Anne Medical Associates, PLLC, celebrates its twenty-fifth anniversary. Dr. Gromko started working with the transgender community in 1998. She currently treats transgender children and adults, as well as non-trans individuals. Dr. Gromko is a member of the World Professional Association for Transgender Health, and a frequent speaker in the area of transgender medicine. Danielle Askini is a medical social worker and Trans* Activist. Recently named one of the "Trans 100" and an award winner of the National Gay and Lesbian Task Force's Youth Leadership Award in 2002. 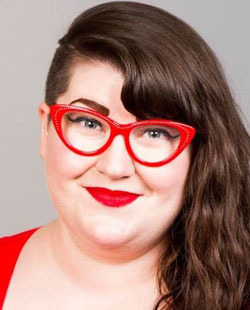 She is the founding Executive Director of Gender Justice League Seattle, the former National Program Director of GSA Network in San Francisco, and currently works as the Policy Director for Basic Rights Oregon. Danielle received her BSW & BSN from the University of Maine in 2004 and her MSW in Social Welfare Policy & Public Health from Boston College & Lund University, Sweden in 2006. She also holds a Master's of Science in the Sociology of European Law from Lund University, Sweden. Danielle has worked for 12 years in Public Health and Social Service settings with LGBT people - starting the first Transgender Health Clinic in Seattle at Verbena Health in 2007 and serving for several years as a disease intervention specialist with the Portland Public Health Department HIV/STD Division. Her work has spanned a number of activism in social welfare and public health issues with a clear focus on Trans people's lives and access to care. 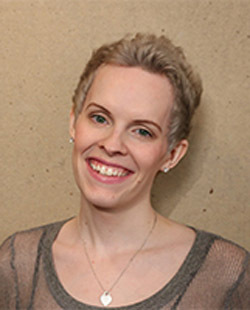 Gender Clinic Program Manager & Care Navigator Adolescent Medicine Seattle Children's Hospital Lara Hayden is a long time Seattle resident and graduated in 2010 from the University of Washington with a Master's in Social Work. Lara has worked for the last ten years providing clinical care and program management in community health, including chronic illness case management, HIV case management, student health programs, and since fall 2016, with the Gender Clinic at Seattle Children’s Hospital. At the Gender Clinic, Lara supports patients and families from their first contact with the Clinic all the way until they graduate from care at age 21. Lara also collaborates with Research, coordinates care with other departments at Seattle Children’s, and provides outreach and education to providers and community partners. 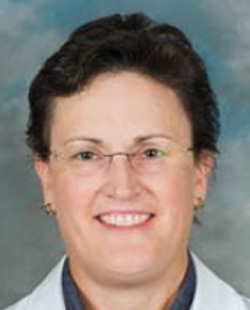 Corinne S. Heinen M.D. is a board certified family medicine physician who sees patients at the UW Neighborhood Belltown Clinic. 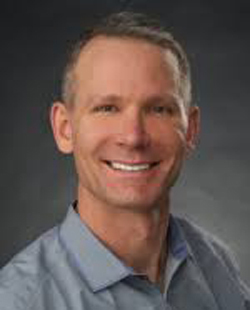 Dr. Heinen's clinical interests include pediatrics, obstetrics and women's health. She has special training and clinical experience in caring for HIV and AIDS patients. Vy is one of the founding members of Capitol Hill Medical, Seattle's LGBTQ-focused primary care clinic, which also specializes in HIV medicine and hormone administration for gender transition. He is a graduate of the UWSOM (E-00), and completed his Primary Care Internal Medicine residency at Virginia Mason. He has been elected Fellow of the American College of Physicians and is certified as an HIV Specialist by the American Academy of HIV Medicine. He has been a guest lecturer for this course and has given the "LGBT Culturally Competent Care" lecture for ICM1. He is a recurring guest expert on Dan Savage's "Savage Love" podcast. 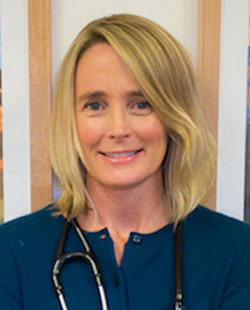 Dr. Kristin Anderson, MD, MPH is a family medicine doctor in Seattle, Washington and is affiliated with Swedish Medical Center-First Hill. She is the residency clinical site director at Carolyn Downs Family Medical Center for the Swedish Cherry Hill Family Medicine residency program. She received her medical degree from Tufts University School of Medicine and has a specialty in geriatric medicine. In addition to geriatrics, her interests include Women’s Health & Obstetrics, Pediatrics, Preventative medicine, and LGBT Health. Harry Dixon, MA, LMHC is a Korean American, cisgendered, bisexual licensed mental health counselor specializing in the mental health needs of the LGBTQ+ community in Seattle, WA. 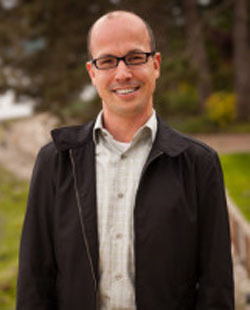 He is a masters level clinician with a degree in counseling specializing in clinical mental health counseling from the University of San Diego. Harry has provided expert consultation on the mental health needs of the LGBTQ+ community as well as an active advocate in addressing mental health disparities within the community. As a multiple minority identified person, Harry uses his knowledge in Asian cultures to assist clients in developing their identities and providing culturally sensitive services. 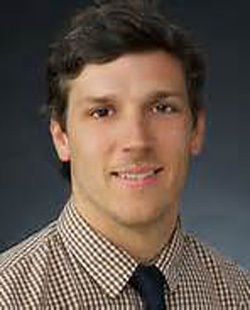 Dr. Hatfield earned his medical degree from Case Western Reserve University School of Medicine. 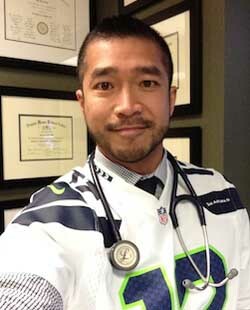 He arrived in Seattle in 1999 and completed his residency at Swedish Hospital/Providence Family Medicine. He was also a research fellow at Henry Ford Hospital in Detroit. Dr. Hatfield has a special interest in preventative medicine, sports medicine, adolescent, pediatric, men's and LGBT healthcare issues. He also speaks about the healthcare needs of children, adolescents and adults who identify as gender variant, gender non-comforming or transgender. He is a Seattle Metropolitan Magazine "Top Doctor." Dr. Shalit is one of region's leading experts in HIV medicine. He is a graduate of the UWSOM (E-81), and completed his residency training in Internal Medicine at the University of Washington. His involvement in HIV care started in the early 1980s while still a medical student, and through practice and research has been part of the transformation of HIV infection from a life-threatening illness to a manageable chronic condition. He is a Clinical Professor of Medicine at the UWSOM, has been elected Fellow of the American College of Physicians, and is certified as an HIV Specialist by the American Academy of HIV Medicine. 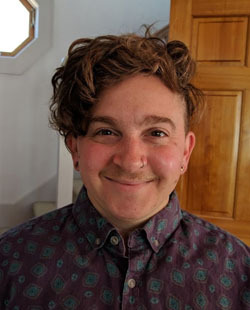 Simon Adriane Ellis is a trans- and genderqueer-identified Certified Nurse Midwife whose clinical practice is focused on providing sexual and reproductive health services across the lifespan for people of all gender identities. They are a staff midwife at Kaiser Permanente in Seattle, WA. 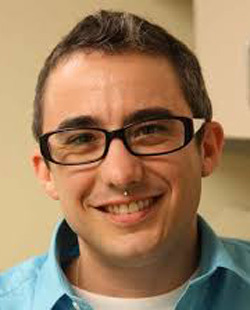 Outside of the clinic, their advocacy work has included co-authoring an ACNM position statement supporting midwifery care for transgender individuals, conducting original research on transgender pregnancy, and providing mentorship and training on LGBTQ health to students, clinic staff and healthcare providers. Hez Wollin is a trans/genderqueer Licensed Clinical Social Worker in private practice in Seattle. Hez is also a lecturer in the University of Washington School of Social Work, where they teach clinical skills to graduate students. Hez received their Master’s degree in Social Work in 2011 from Smith College School for Social Work. They currently work with the LGBTQ+ community across the life course: from childhood to adulthood. They are particularly passionate about supporting queer and trans youth. Hez also provides services for Spanish-speaking clients. Recently, Hez has developed some trainings for mental health professionals to learn more about how to provide gender-affirming care. In their spare time, Hez likes to ride their bike, make pottery, and read fiction. Annette Squetimkin-Anquoe (far left in photo), a member of the Colville Confederated Tribes, has been working in native communities for more than 23 years to address health disparities. Currently, she is employed at the Seattle Indian Health Board as a Traditional Health Laison and directs the Circles of Care program. Dr. Squetimkin-Anquoe has previously served as prevention director for a national American Indian substance abuse prevention program and as a project director for a tribal mental health program. She holds a doctorate in psychology from Antioch University. NormaAlicia is the director for Multicultural Education for the Center for Health Equity, Diversity, and Inclusion (CEDI). She oversees courses offered through CEDI such as the Indian Health Issues course, the African American Health and Health Disparities course, as well as the Hispanic Health and Health Disparities course and the LGBT*Q Health courses. NormaAlicia also coordinates the certification of students in the Indian Health Pathway and the Hispanic/Latino Health Pathway. She is of Purépecha, Comcáac and Guaicura heritage and from a farmworker family who immigrated to the United States from Mexico. Her background is in cultural anthropology, education, parent/community work, anti-oppression studies and theater. 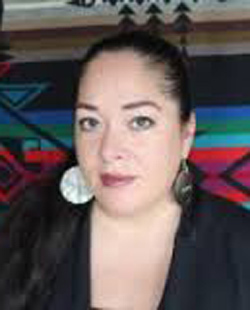 Her primary interests are in Indigenous Science, Medical Education, Psychodrama and Writing. She holds a Master’s degree in Human Development from Pacific Oaks College in California. Terry Maresca, MD, is a member of the Mohawk nation and a dynamic family physician who wears many hats. 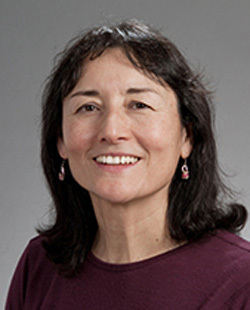 She is a clinical associate professor in the Department of Family Medicine at UWSOM and a past director of the Native American Center of Excellence at the University of Washington School of Medicine(UWSOM). Dr. Maresca supervises residents at the Seattle Indian Health Board Family Medicine Residency Program. Dr. Maresca has also practiced medicine at the Snoqualmie Tribe’s Tolt Community Clinic. 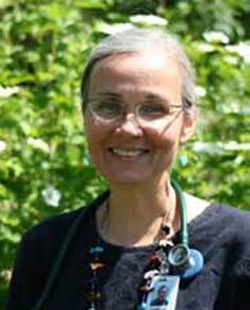 In her practice as a physician she combines her Western training with her knowledge of plant medicine. She maintains a medicinal garden and is a frequent public speaker on the topic of combining Western and traditional approaches to health care. Dr. Maresca is active in the Association of American Indian Physicians (AAIP) and served as its president from 1994 through 1995. 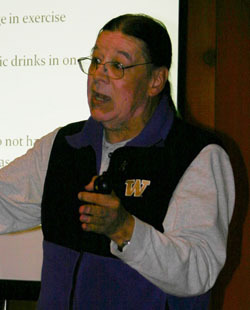 Glen Pinkham is an enrolled member of the Yakama Nation. His Wishkum name is Gutumpsh which means "One who watches the water." He's been married to Yvette Pinkham for 29 years and they have three children; Cameron, Shanoa and Dallas. His parents are Joe Jay Pinkham, and Tallulah Pinkham. 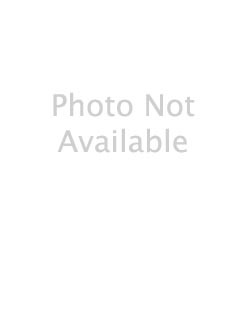 He was raised in the Wa'shut (Seven Drums), Shaker faith, McKinley Indian Mission (Evangelist), and Church of Jesus Christ of Latter-Day Saints religions. Drawing strength from diverse teachings compliments his hunting for funerals, memorials, name-givings, first kill ceremonies and feasts. He believes that being a traditional hunter requires living by the Creator's unwritten laws and traditions. He's a Spiritual Counselor at Seattle Indian Heath Board working with Veterans and people in recovery at Thunderbird Treatment Center. Below Mr. Pinkham is pictured with his wife Yvette Pinkham and their daughter, Shanoa. 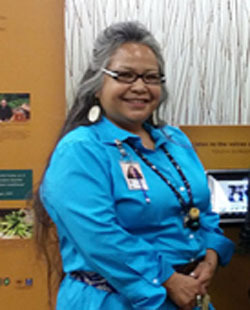 Connie McCloud, is a mother, grandmother, auntie, Elder, Puyallup Tribal member, Cultural Director for the Puyallup tribe and Captain of the Puyallup Canoe Family. 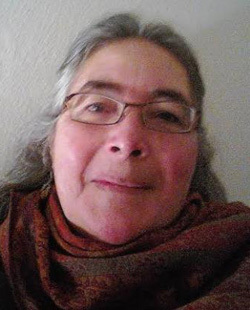 Connie was raised near the Nisqually Indian reservation and is connected by her mother to the Chehalis Tribe. She is a cultural and ceremonial leader. 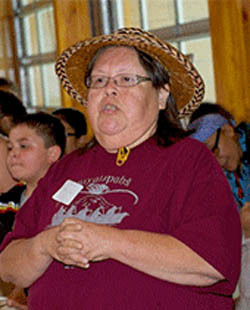 Ms. McCloud has worked for the Puyallup Tribe for more than 40 years. In that time she has worked in various programs to address health needs within her community through the educational and health system and to make traditional medicine services available . Dr. Gandara has been active in research, teaching, patient care, and volunteer activities at the UW since moving to Seattle in 1982 to complete a Master’s degree program in Oral Medicine. In 2008, she became Clinical Associate Professor in the Department of Oral Medicine as well as Director of the Office of Educational Partnerships and Diversity in the School of Dentistry. Since that time she has also provided leadership and instruction in the the Robert Wood Johnson Foundation-funded Summer Medical and Dental Education Program (SMDEP) at the UW. This dental pipeline activity assists minority and under-represented college students with preparation for medical and dental school. Dr. Gandara has also taught under-represented high school students interested in medicine and dentistry in the UDOC program and throughout the school year in activities such as “Dental Camps”. and the UW Pre-Matriculation program for and entering medical and dental students, respectively, from educationally or financially disadvantaged backgrounds. She works with dental students in developing and running community service programs addressing access to dental care and is also active in inter-professional education in the school and in the community. Dr. Gandara’s research interests are saliva as a diagnostic fluid, therapy for salivary gland disorders and clinical decision support in dentistry. Dr. Maddox is a family physician who is the medical director for the Seattle Indian Health Board (SIHB). SIHB is a private, non-profit 501(c)3 organization incorporated in the State of Washington. They provide community health care and services targeting the urban American Indian and Alaska Native population in the greater Seattle/King County area and have been serving the community since 1970. Abigail Echo-Hawk is an enrolled member of the Kitkehahki band of Pawnee Nation. She received a BA and an MA in Policy Studies from the University of Washington and now serves as the Executive Director of the Urban Indian Health Institute in Seattle. 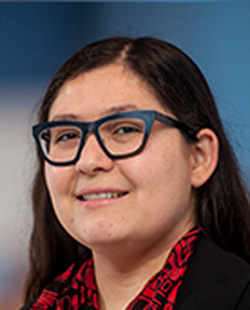 Her interests are in culturally-based health communication through digital storytelling, tribally-guided research regulatory systems, community-based participatory research, and research ethics in Indian Country. 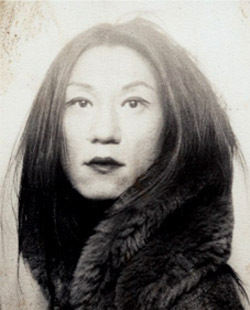 Denise A. Dillard is of Inupiaq Eskimo descent, born in Fairbanks, Alaska and raised in Anchorage. She is a licensed psychologist and Director of Research for Southcentral Foundation. 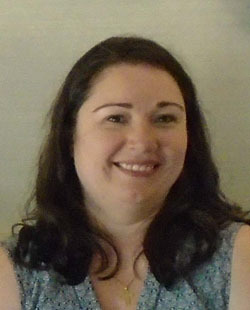 Denise has spent more than 18 years conducting quantitative and qualitative research. She oversees the direction of a variety of research projects in behavioral health, cancer, pharmacogenetics, health disparities, patient-centered outcomes, and other areas. She is essential in coordinating SCF research efforts and bridging communication with academic institutions and other research partners as well as developing relationships with the NIH, CDC, and other funding agencies, as well as academic institutions. 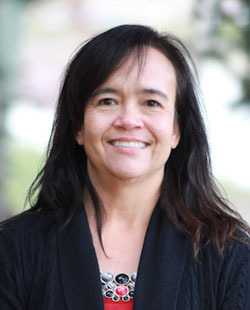 She works directly with the SCF Board of Directors as they review and consider approval of research involving Alaska Native people in and around Anchorage and serves on the Alaska Area Institutional Review Board (IRB). Denise lives in Anchorage with her son Reid and close to her immediate and extended family. Brian Cladoosby serves as the 21st President of NCAI. In October 2013 at NCAI’s 71st Annual Convention he was elected to serve his first term as President of the organization. He is currently the President of the Association of Washington Tribes and has previously served as an Area Vice President on the NCAI Board. 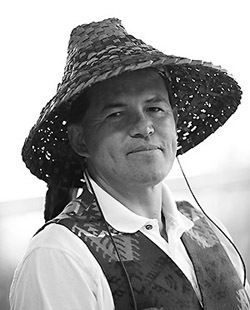 Brian Cladoosby has served on the Swinomish Indian Senate, the governing body of the Swinomish Indian Tribal Community, since 1985. 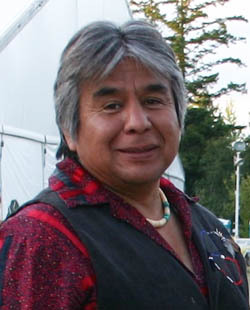 He has served as the Chairman of the Swinomish Indian Senate since 1997. Dr. Fuentes has been in the UW SOM Department of Rehabilitation Medicine for the past five years, first as a resident and now as a fellow in Pediatric Rehabilitation Medicine at Seattle Children’s Hospital. She was recently awarded a grant from the Stolov Research Fund to study outcomes for Native American and Alaskan Native pediatric rehabilitation patients. Dr. Hollow, a clinical associate professor of family medicine was the first Native American to graduate from the UW School of Medicine. He is a member of the Assiniboine and Sioux tribes, and is a founding member of the Seattle Indian Health Board, one of the first clinics in the nation to address urban Indian health needs. Dr. Hollow did half of his family practice residency at the clinic. Later he became its first medical director. As a student here at UW he formed The Medicine Wheel Society, a student and alumni group which is still active and dedicated to supporting each other and the Native community with health focused educational and social events. To ensure that Native American medical students who followed in his path wouldn’t face isolation similar to that which he experienced in medical school, Dr. Hollow received federal funding for a UW Native American Center of Excellence (NACOE) in 1991. This center of excellence, which now has become part of the Center for Equity, Diversity and Inclusion here at the School of Medicine, created and sustained a formal Indian Health Pathway within the medical school curriculum backed by a solid mentoring and social support structure. This class is part of the requirements for medical students who wish to earn certification in the Indian Health Pathway: https://catalyst.uw.edu/workspace/dolson/38538. Dr. Hollow currently works with the Puyallup Tribal Health Authority.